When we see a triple mirror hour like 00:04 on several occasions it is a sign that the universe is trying to attract our attention. Numbers are a simple and direct way for the universe to deliver us messages without being filtered out by the ego. By maintaining awareness and by looking for significance in the numbers’ vibrations we can work out what advice is held within the numbers we see and learn how to take it on board. So when you notice a mirror hour during a moment of synchronicity and then go on to see the hour multiple times, pay attention to everything that you are thinking about and that's going on around you as this will help you to figure out its message. 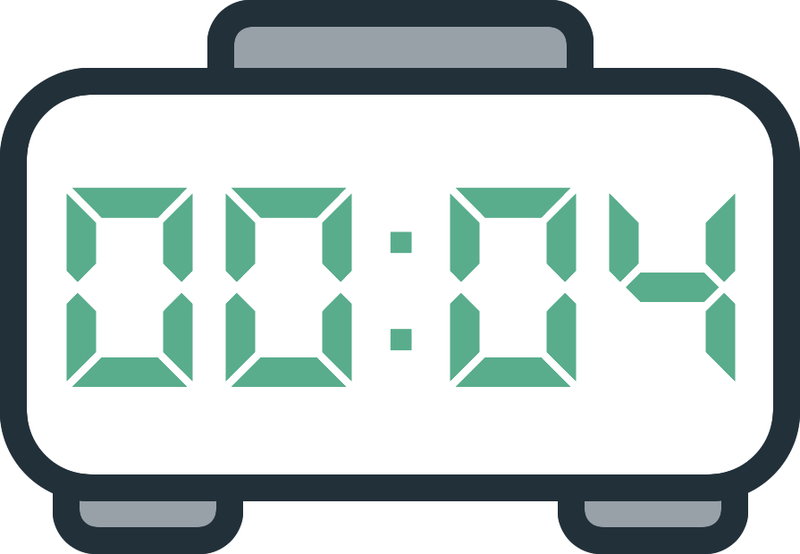 If you have been seeing the triple mirror hour 00:04 regularly over a period of time do not ignore it because it holds a message for your eyes only. There could be many reasons that you have been seeing this mirror hour regularly. It could be a sign from your guardian angel, someone could be thinking of you, an entity could be trying to get in contact, you could be in need of answers, or it could be a message from your subconscious. To find out the true message behind the hour 00:04 you can rely on the guardian angels or on numerology to help you. We will now give you the opportunity to quickly and easily figure out what this hour means. 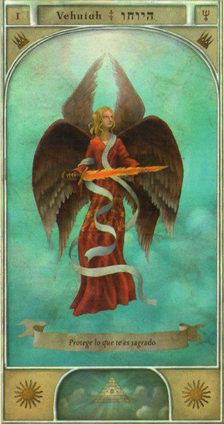 Through the triple mirror hour 00:04 the angel Vehuiah who represents wisdom and love is trying to tell you that he will bring you success in any new creative or transformative pursuits. His audacity, bravery, and sense of initiative will be with you to help you to accomplish your goals and to succeed in everything you do. He will provide you with quick thinking skills and clarity of thought. This angel, who is your patron and protector, is also letting you know that he will offer up his healing energy as well as the courage you need to take care of yourself and overcome illness or depression. Beyond this he will also give you the ability to heal others. If you work in the field of medicine the guardian angel Vehuiah will be your guide and protector. Should any problem or complicated matter arise, the guardian angel Vehuiah is also letting you know that he will give you answers on how to resolve them. He will cause things to happen which will be of benefit to you to help bring success into your life. This will not only be good for you but also for the people around you. The guardian angel Vehuiah is also letting you know through the triple mirror hour 00:04 that he will help you to concentrate your efforts and prevent you from getting agitated. He will also be there to stop you from rushing in to things without thinking. On top of this he will offer you his divine protection and cause any authoritative, insolent, or tyrannical people to disappear from your life. By showing you this triple hour regularly Vehuiah is also making sure to remind you that it is his fire which rules over you. Because of this you will always find yourself at the forefront of innovation thanks to the renewing energy that he brings to your heart and mind. He allows you to grab hold of these energies in the form of concepts and ideas. Under his protection you will have enormous creative potential. What does 00:04 mean in Numerology? If you have been coming across the triple mirror hour 00:04 regularly then the numerology of the number 4 will have messages to give you as well. Take note that above all this angel number symbolizes balance, order, achievement, physical matter, and the potential to build and to grow, however it also represents pessimism, obsession, imbalance, stubbornness, and inflexibility. The number 4 highlights that you are a practical, methodical, and organized person. You always adopt a logical and step-by-step approach to resolving your problems. Once you have committed to something you are not the kind of person to give up easily. This is because you are a patient and resilient person. The angel number 4 also shows that you use your professional skills to build your career. You are always looking to construct a solid foundation. You have the potential you need to succeed but in order to reach your objectives you first have to overcome the obstacles you face on the path to success. You are a brave person, a true survivor, and it is for these reasons that you will have no trouble succeeding in everything you do. 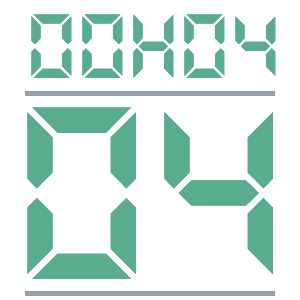 Through the triple mirror hour 00:04, the angel number 4 is also telling you that you are a person who likes honesty and truth. You are a stable person and even though your dreams are always grounded in reality you are also always trying to make the world a better place. But be careful as your inflexible thinking can sometimes lead you to make judgments about people too quickly. You could have a future in accounting, banking services, management, organization, legal matters, or construction. You should also be careful not to become overly aggressive or tyrannical. You are very persistent and disciplined and it could be difficult for others to keep up. Any comment on the 00:04 mirror hour?